Happy Tuesday, blog friends! How are you doing today? Since I am pre-scheduling my posts, I'm going to assume that we are having a wonderful time in Minneapolis & all that. Lol!! I will recap our trip when I get home! 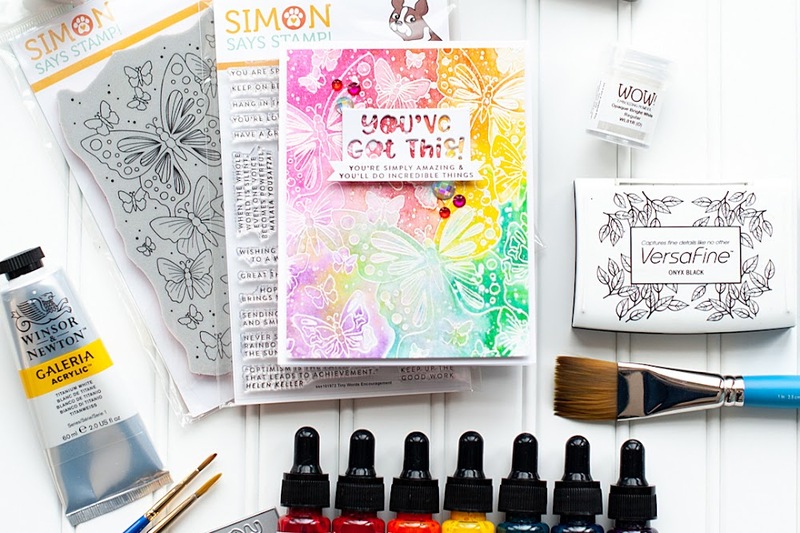 Today I have a card to share with you using some of the new WPlus9 products that just released this month! 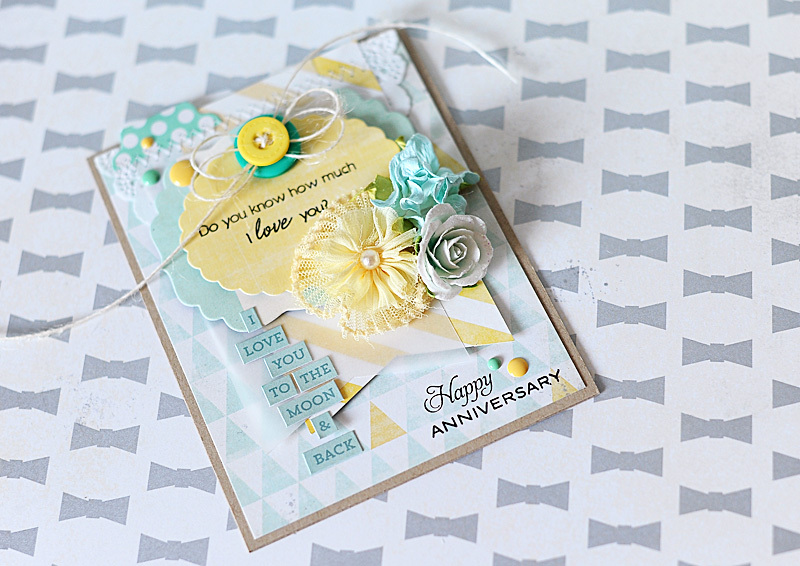 This month is WPlus9's 4th birthday, & Dawn has been doing challenges all month long. This week on the WPlus9 Blog we are challenging you to stretch yourself, and do things outside of your comfort zone. I posted recently that I just bought myself my first spray mist, and this is my second time using it. I'm definitely still get comfortable with it, but I do love the little bit of gold glimmer that this mist adds to my projects. Here is what I created for the challenge! 2. Cut a vellum block & ombre paper block slightly smaller. 3. Punch notches in the bottom of the ombre block, then lightly spray it with gold mist. 4. Once dry, wrap gold thread a few time around the punched notches. 5. Layer the vellum & paper block, slightly angling the vellum. 6. 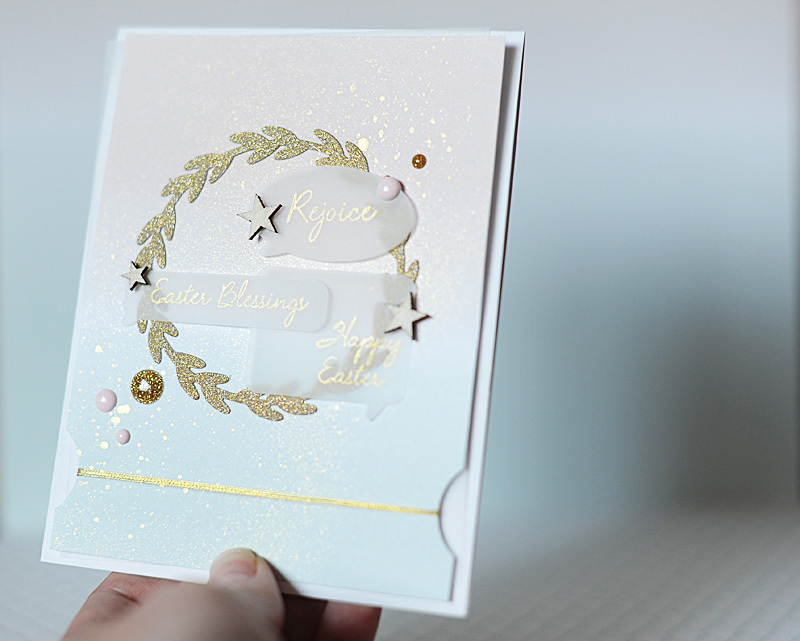 Diecut the wreath from gold glittered paper & adhere to the front. 7. 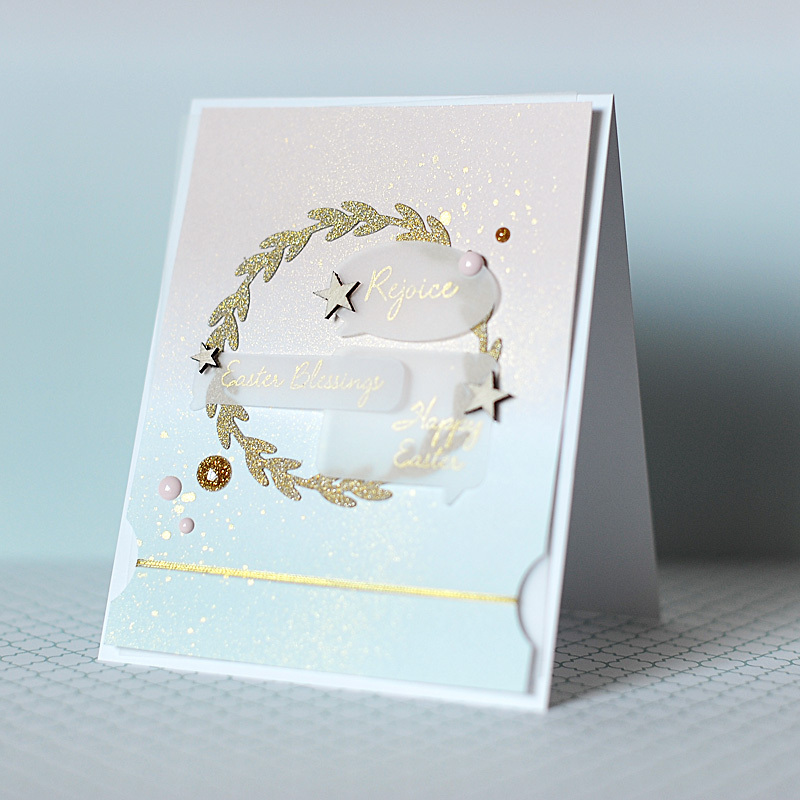 Diecut the conversation bubbles, stamp the sentiments into them & attach to the wreath. 8. Accent with wood veneer stars & enamel dots to finish. I hope that you will play along with our challenge to stretch yourself this week, & enter yourself in to win a $100 shopping spree in the WPlus9 store. 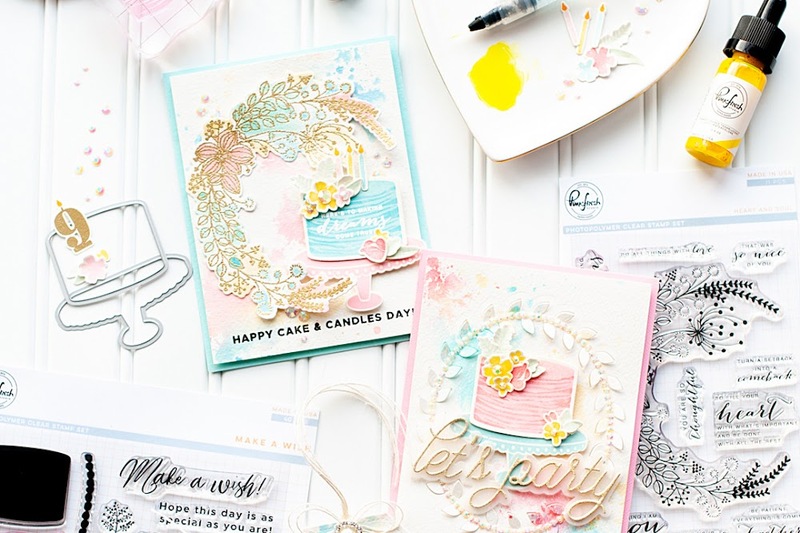 Get all the details on Dawn's blog!! I hope you liked my gold & shimmer Easter card today....while it is a bit nontraditional, I feel like it is definitely fit for a King. ;) Have a wonderful Tuesday! Happy Monday, blog friends! How has the start of your week been? As you read this we are on our way to a few fun filled days in Minneapolis! I'm excited...I haven't been there in a long time, & the last time I was there I was working. So- the only fun thing I saw was the Mall of America. 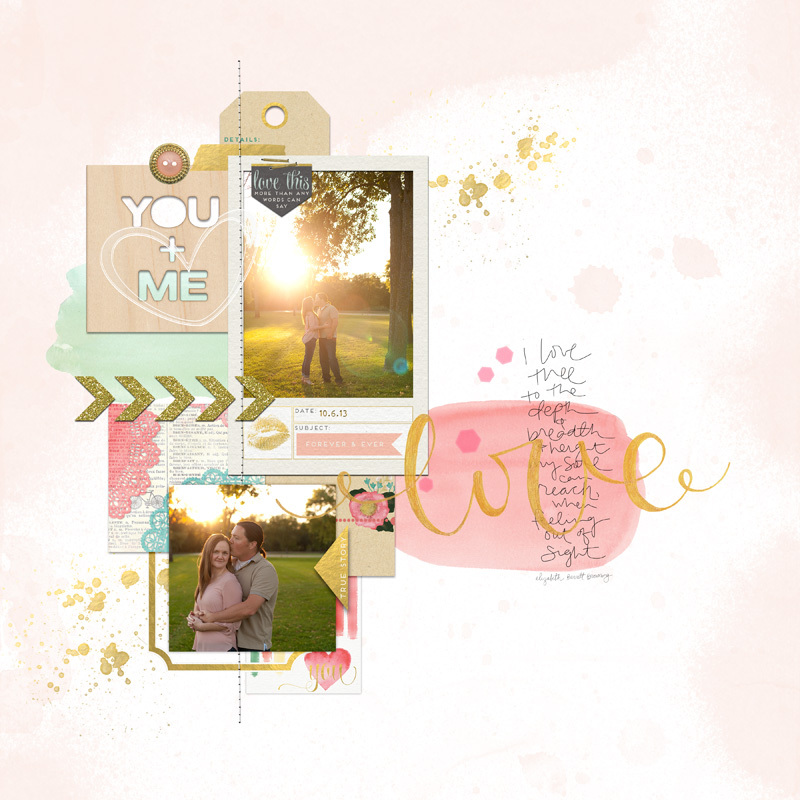 Today I wanted to share a couple digital layouts that I have done recently. This first one is of some photos we took this fall. We do a mini shoot every single season so that we always have current photos together...I think that is so important!! This next layout is of my sweet little Sadie girl...these are a couple of the MANY photos I've posted of her on Instagram. She is just so dang cute all of the time! 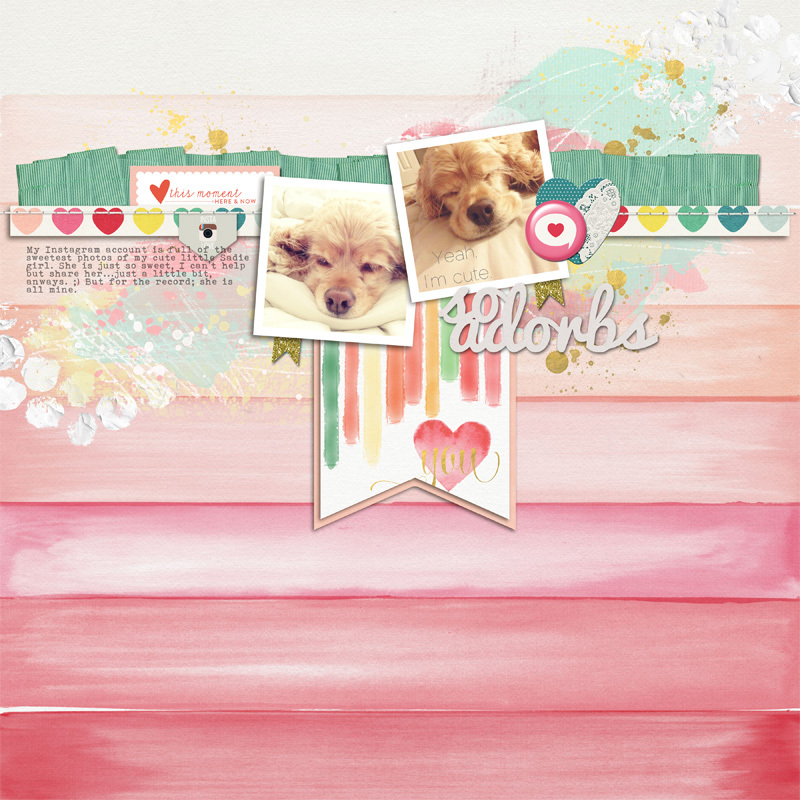 I pretty much love these digital layouts....I hope that you do too! That is all I have to share with you for today! 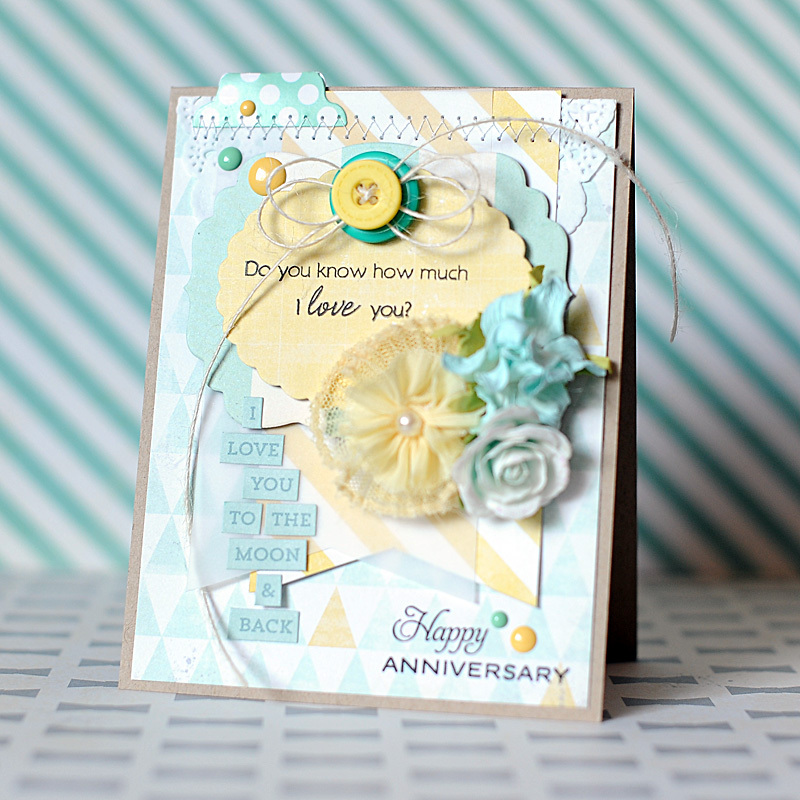 I will be back tomorrow with a card using some new WPlus9 products!! Happy Sunday, blog friends! I hope this post finds you having a wonderful end to your weekend. We had dinner over at our neighbors last night, & played our Walking Dead board game together....it was great! Not to mention...lots of puppy snuggles & cuteness. We went to church this morning, and now we are just watching some TV & I am crafting & getting stuff done before we go on our mini vacation to Minneapolis tomorrow! Before I get to the giveaway winner, I just wanted to share a new card first! Although I've gotten my new Glitz Design product, Wild & Free was calling my name on this one... 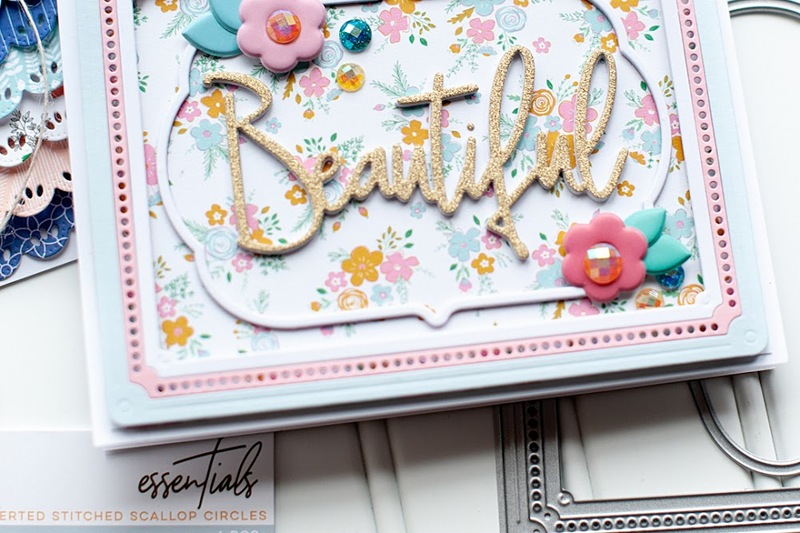 I paired it with some Lawn Fawn stamps & dies and older My Mind's Eye enamel dots, and this is what came of it!! I'm LOVING the rainbow colors of it all! 1. 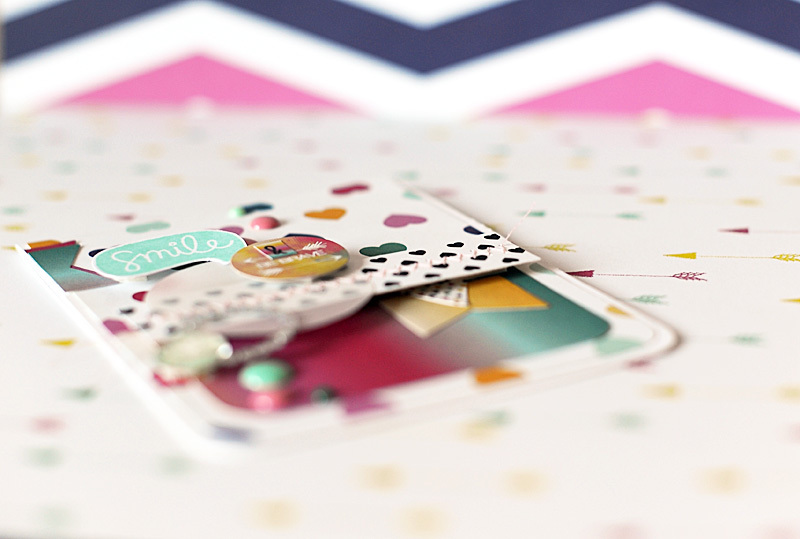 Make A2 card from white cardstock, then round the bottom corners. 2. 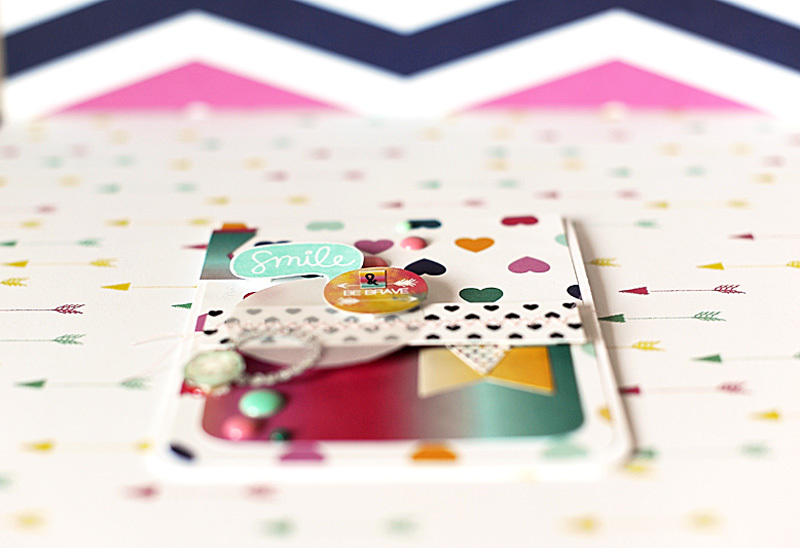 Cut heart paper slightly smaller, round the bottom corners & adhere to the card front. 3. 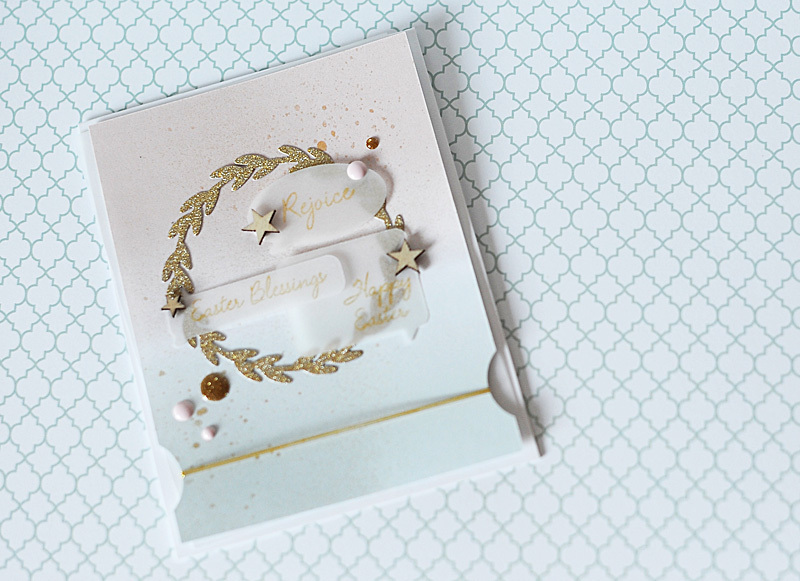 Cut a blog of ombre paper, round the bottom corners & adhere to the bottom of the card. 4. Diecut three banners from the ombre paper. Layer the pink & aqua ones to the left side. 5. 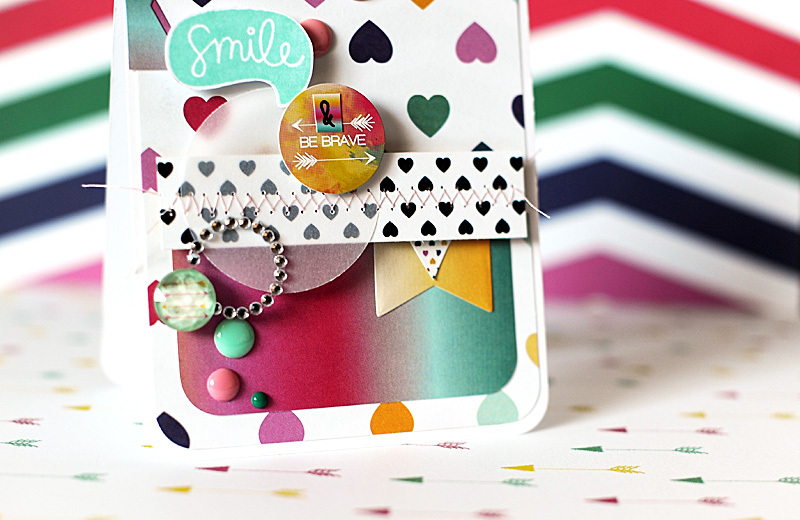 Adhere the orange banner to the ombre paper block, then layer a triangle sticker on top. 6. Cut a strip of heart paper, & punch a circle from vellum. 7. 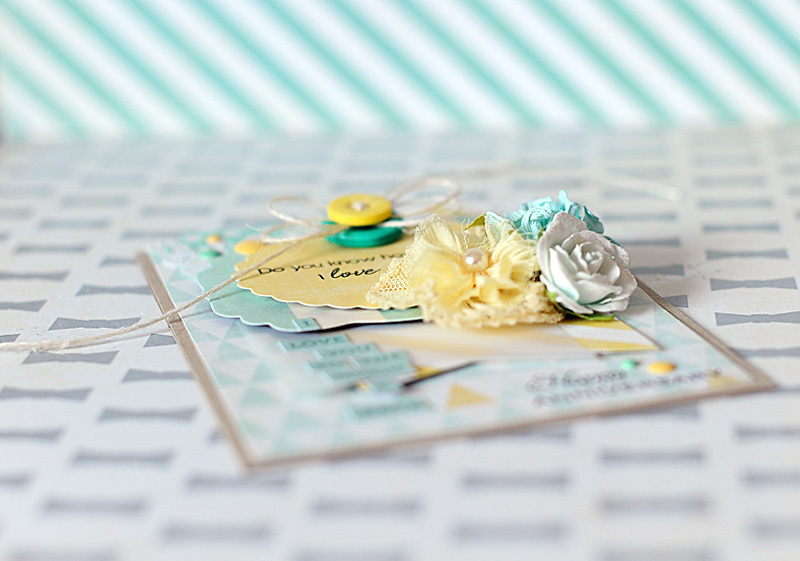 Zig-zag stitch them together, then adhere to the card front with foam adhesive. 8. 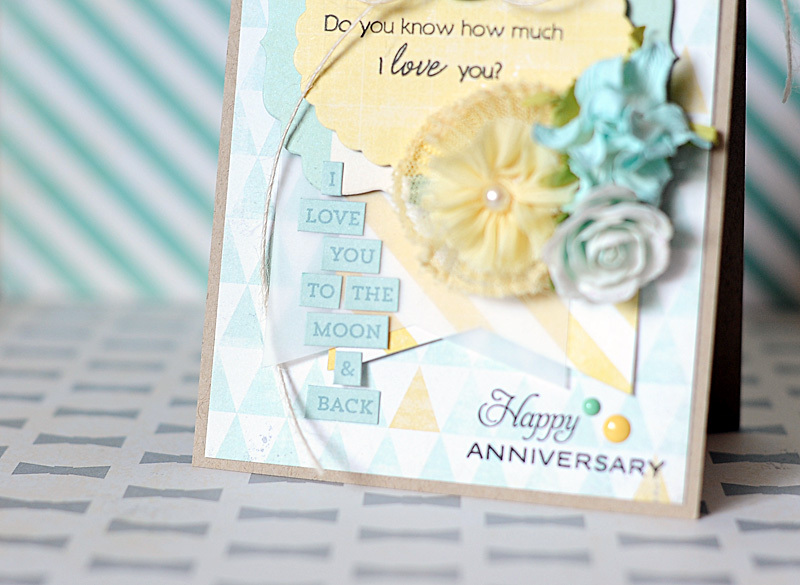 Layer a circle sticker, jeweled circle & giant rhinestone to the vellum circle. 9. 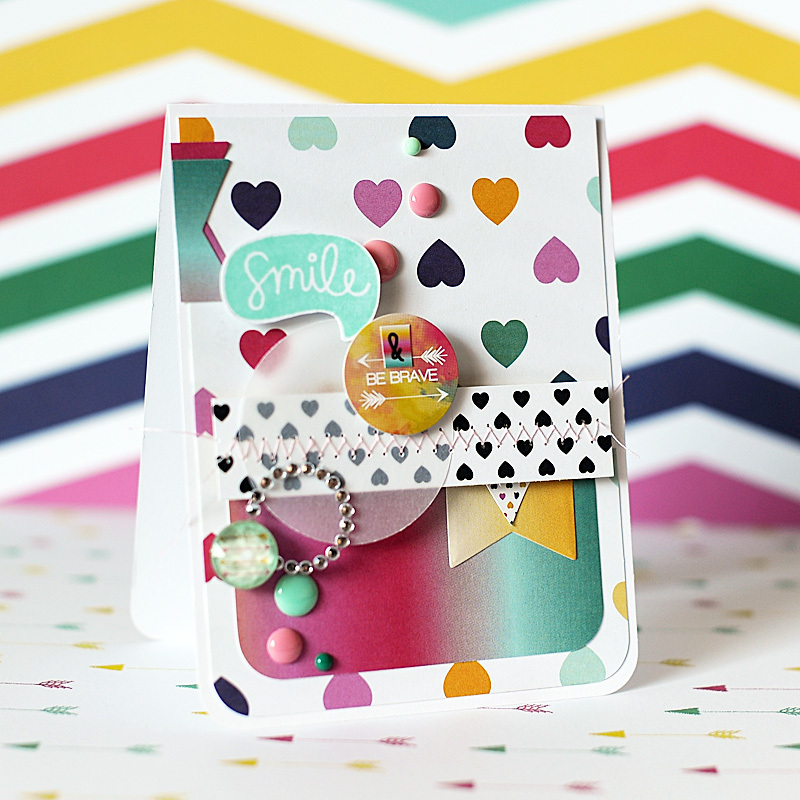 Stamp the "smile" conversation bubble to white cardstock, cut out & adhere to the front. 10. 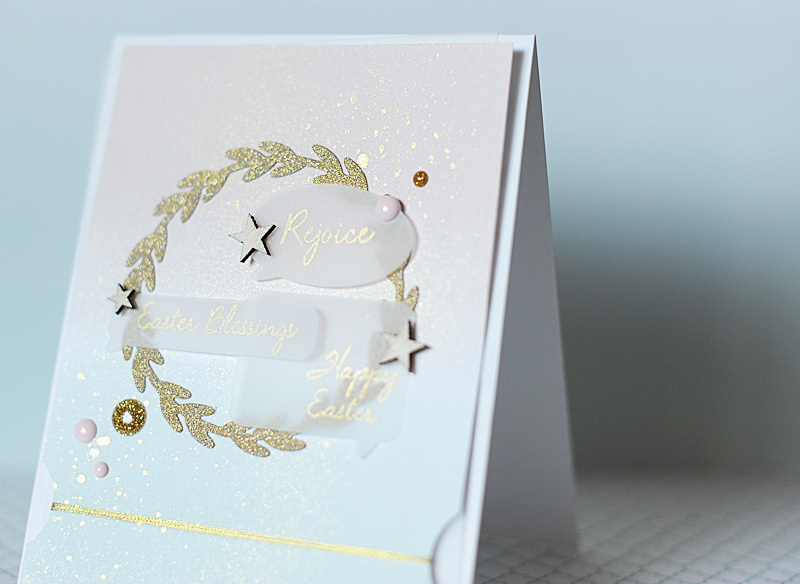 Accent the card with enamel dots to finish. Congratulations Jingle Jennifer!! Please email me your shipping address to joshandlealawson @ gmail .com (without the spaces) & I will get the kit out to you later this week. Well...that is all I have for you today! Enjoy the rest of your weekend!